My trip to Turkey last year is what I consider a trip of a lifetime. It took approximately 30 hours of travel to get to Selcuk, Turkey from Manila, Philippines. It was my first long-haul flight and my first time in Europe. It took many leaps of faith just to get there and when I finally reached my dream destination, I cried. I felt a different level of gratitude unlike any I have experienced before. 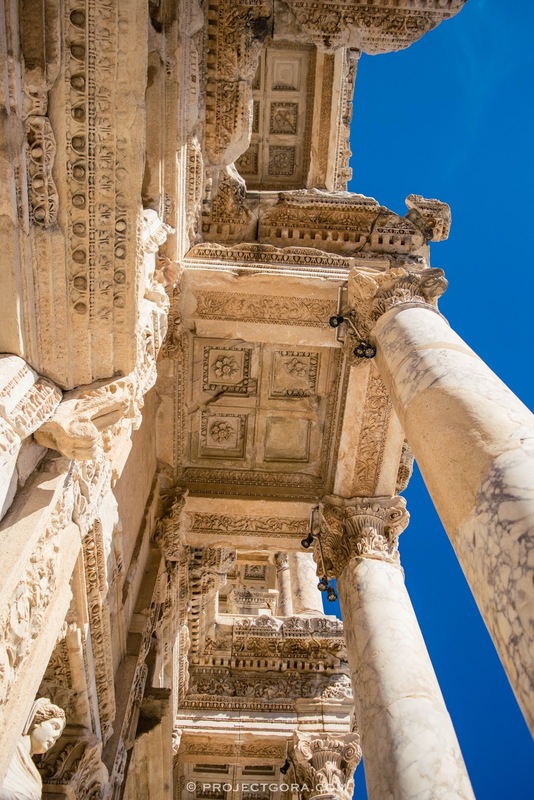 The Library of Celsus in Ephesus was nothing short of magnificent. My friend and I arrived in Selcuk Town at around 7:00 in the evening. It was already dark and most of the shops in town were already closed. We got lost on our way to our chosen accommodation, Ephesus Palace, but we met a friendly hostel owner who contacted the guesthouse for us. We were then picked up by one of the staff and we finally checked into Ephesus Palace, a budget-friendly accommodation located about 5 minutes from Selcuk town. Although my friend and I did not stay long in Ephesus Palace, I will recommend this guesthouse to anyone. 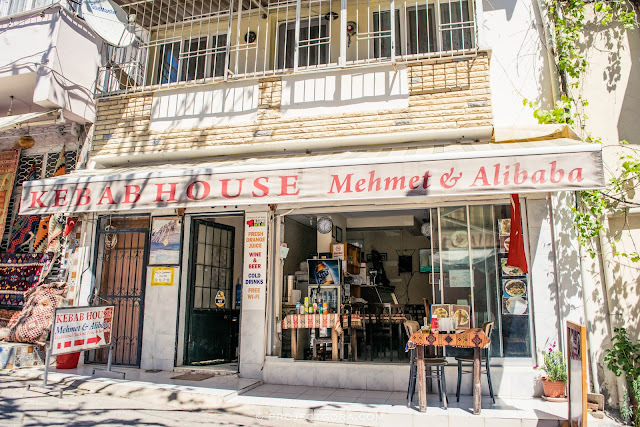 The owners Mehmet and Handan were very kind and accommodating. 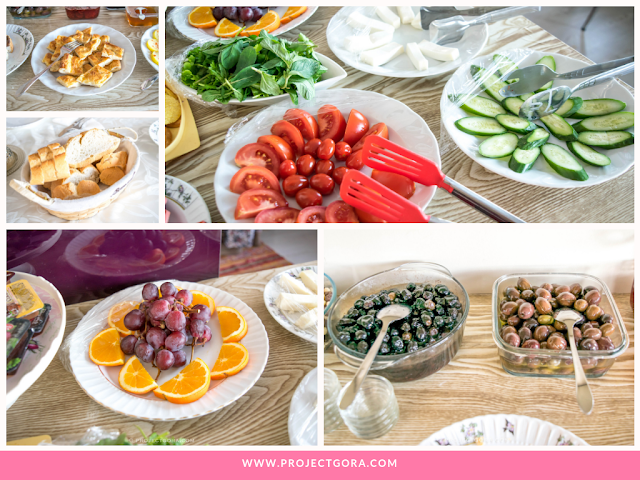 The complimentary Turkish breakfast was great and became my standard when it comes to home cooked Turkish breakfast. I particularly enjoyed the complimentary tea and the awesome view from the balcony. 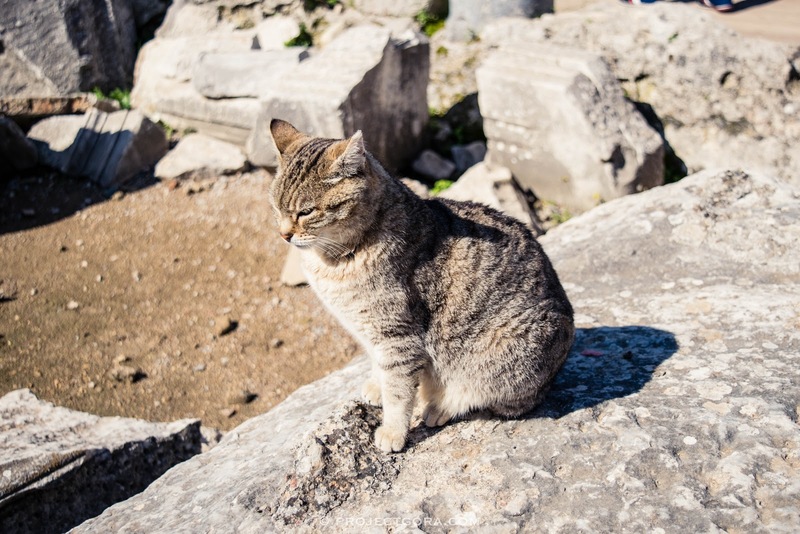 There are various ways to get to Selçuk depending on where you are coming from. You can fly out via Turkish Airlines, Onur Air and Pegasus Airlines from Istanbul’s Sabiha Gokcen International Airport or the brand-spanking new Istanbul Airport to Izmir Adnan Menderes International Airport, the closest airport to Selçuk. From Izmir Airport, you can take a local train located just across the airport to get to Selçuk town. Check out this timetable for more information. 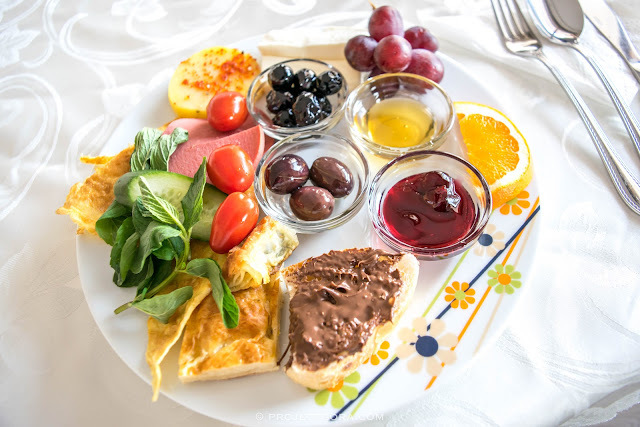 the prettiest breakfast I have ever had! From Cappadocia, take a Pegasus Ailines or Sun Express flight from Kayseri Erkilet Airport to Izmir Adnan Menderes International Airport. There are also direct buses from Nevşehir (Cappadocia) to Izmir. From there, take a local train to get to Selçuk town. It’s going to be a long bus ride so I would suggest to travel by air instead. Air tickets are cheap in Turkey, so take advantage of this. 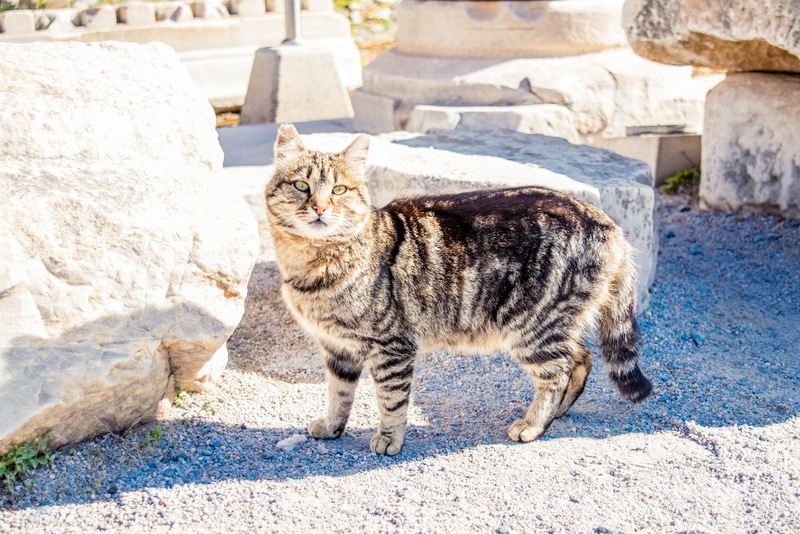 From Pamukkale, catch a minibus to get to Denizli Otogar (bus) station. From there, walk towards the gar (train) station and take a local train to Selçuk. It will take about 3 hours to get to Selçuk town. Ephesus is about 3 kilometers from Selçuk town. To get there, take a cab from your chosen accommodation to the south or north gate. Travel time is about 10 minutes and one-way fare is 10 Lira or about 90 pesos. You may also take a minibus from town to get to the north gate, which only costs 3.50 Lira or 30 pesos. 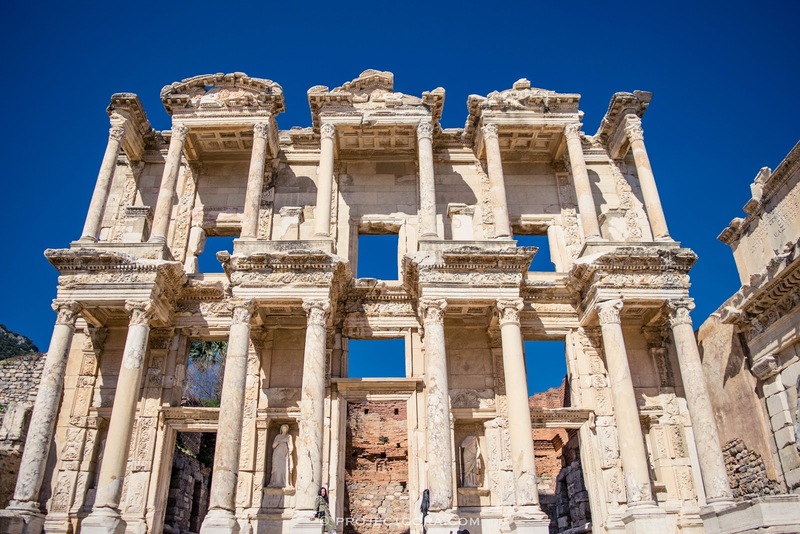 The Ancient City of Ephesus, once occupied by the Greeks, Roman, Byzantine, and Ottoman, was once a vibrant mega-metropolis located in the western coast of Turkey. 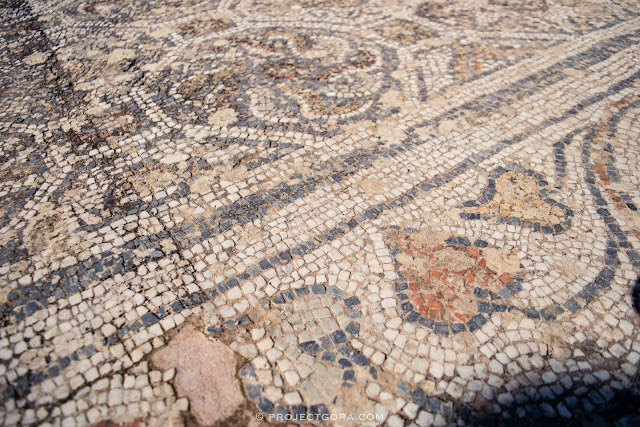 The city played a key role in the spread of Christianity throughout the Roman Empire when it became the capital of Asia Minor. Even after many centuries since its downfall, some of its former splendour still remains. A guided tour or a self-guided tour give us glimpses into the lives of the people who once lived there. It’s almost like a time travel when you walk down the ancient streets. 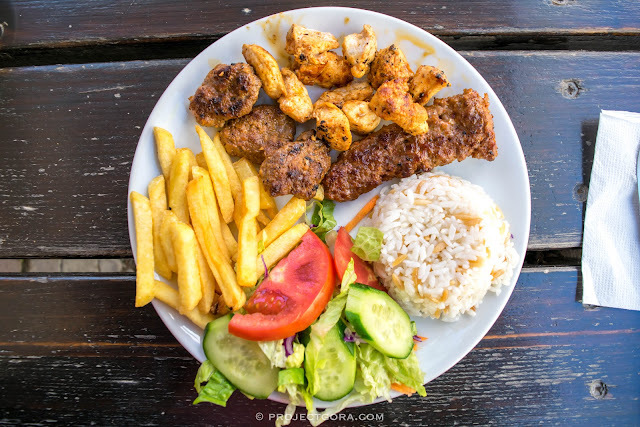 Where to start - South or North Gate? 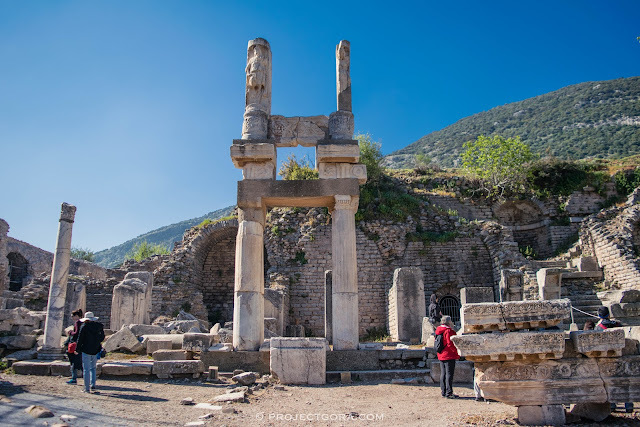 The North Gate (Lower Gate) is closer to Selçuk town so it is recommended to start here if you are taking a minibus or planning to walk from town. It is also closer to the main sights like the Great Theatre, Lower Agora and the Library of Celsus. However, starting at the North Gate can be a challenge, especially during summer, because it is mostly uphill. So make sure to pack some water, sunglasses, sunscreen, and sturdy shoes. 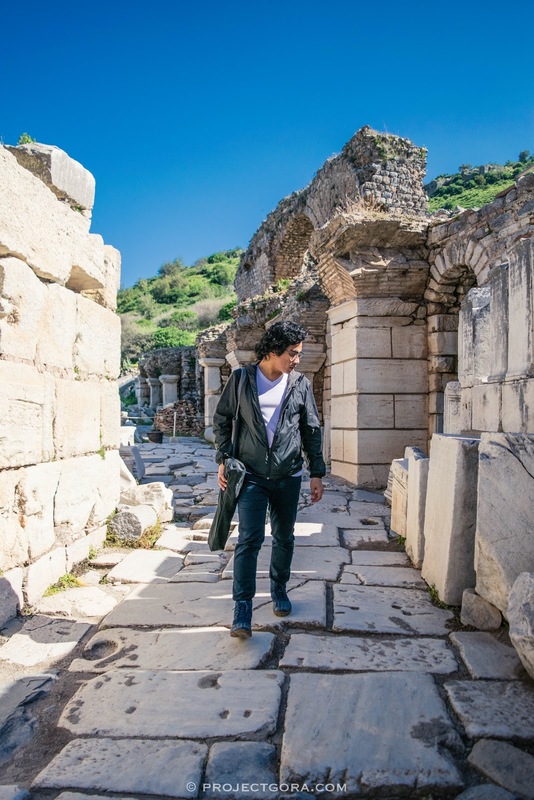 Ephesus boasts a lot of significant historical monuments but here are the ones that I found to be the most awe-inspiring and enchanting. I posted the photos in order from the South Gate (Upper Gate) down to the North Gate (Lower Gate). I hope you find these photos helpful when you do your own self-guided tour, or else grab a map or hire a tour guide. The Odeon, also known as the Small Theatre, served as an entertainment and meeting center of the city. It also served as a political centre for the city council for religious and governmental discussions. 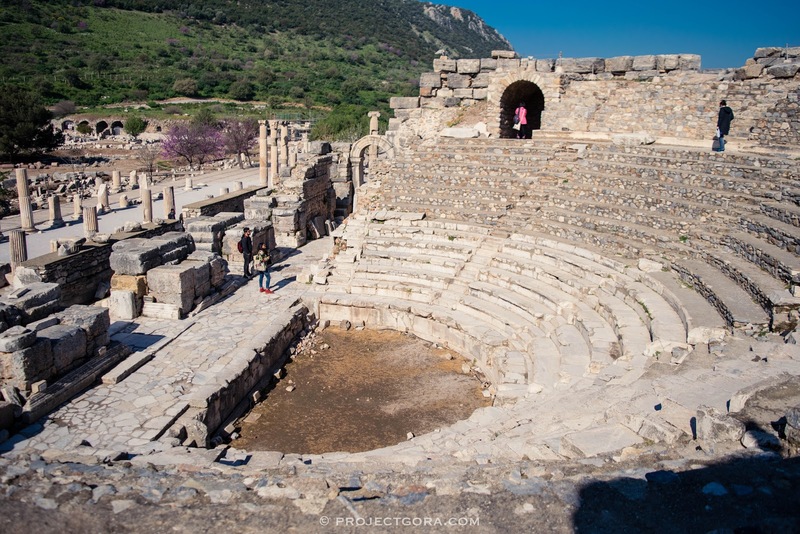 Its small covered theatre sat roughly 1,500 spectators and is one of the original permanent stone theatres to stand in Ephesus. At the west end of the Odeon (Bouleuterion), we found the remains of the Prytaneum built in 1st century BC. 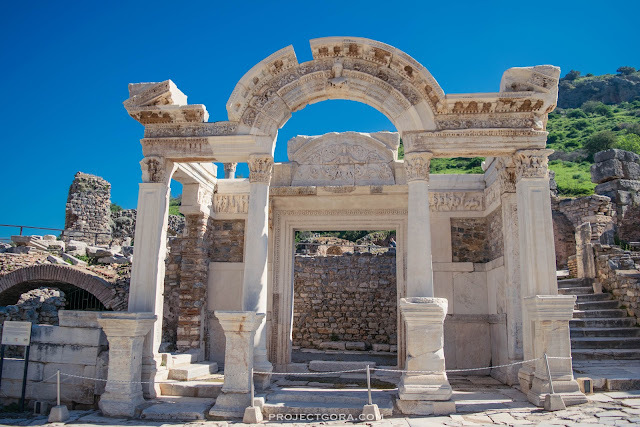 This used to be one of the most important ancient government buildings at the center of the city of Ephesus. 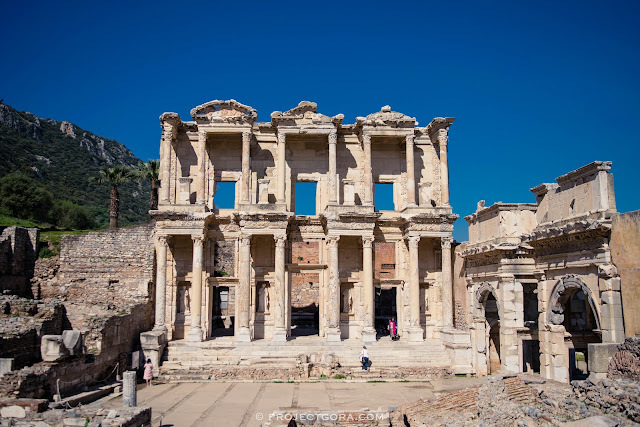 At the centre of the building was the Temple of Hestia which contained a sacred hearth that was never allowed to go out to represent all the hearths in Ephesus. Today, only two Doric columns remain from the six original. Built in the 1st century AD, the Temple of Domitian was said to have been dedicated to the Roman Emperor Domitian. He was said to be one of the most brutal Roman emperors but because the Ephesians wanted to secure good relations to Rome, they dedicated many buildings in the city to emperors. The Temple of Domitian was the first ever monument built for a Roman emperor. A short walk from the Temple of Domitian, we found this beautiful flying Nike statue. Nike was the goddess of victory in Ancient Greece. This statue symbolised ultimate success and triumph. I later found out that the image of Nike is found on Olympic Medals as a good reminder to never give up. 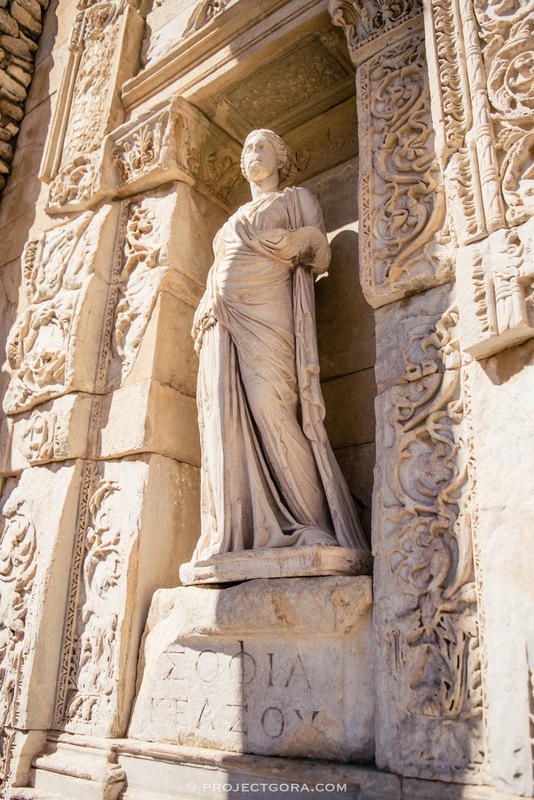 This huge stone statue is Nike, the goddess of victory in Greek mythology and is said to be part of the Hercules Gate. Built at the beginning of the 2nd century AD, the Fountain of Trajan was constructed to honor Emperor Trajan. 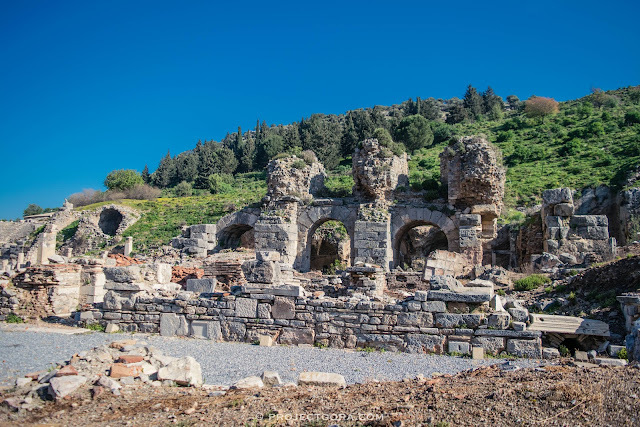 Located at the he north end of Curetes Street, the fountain had two ornamental pools at the front and rear and statues which are now on display in the Ephesus Museum. 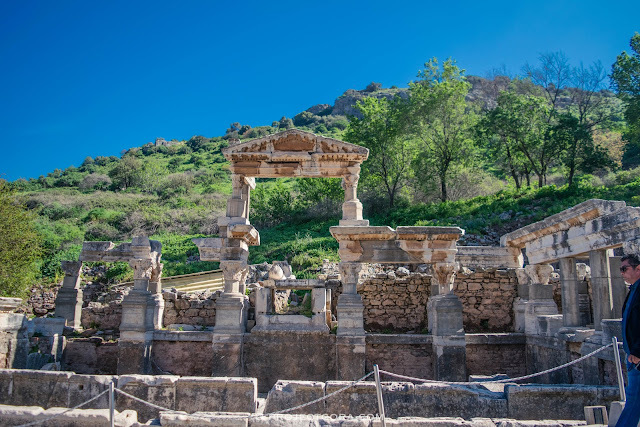 It's hard to imagine what it used to be like back in the ancient times but the signage on site will help you understand what the fountain probably looked like. 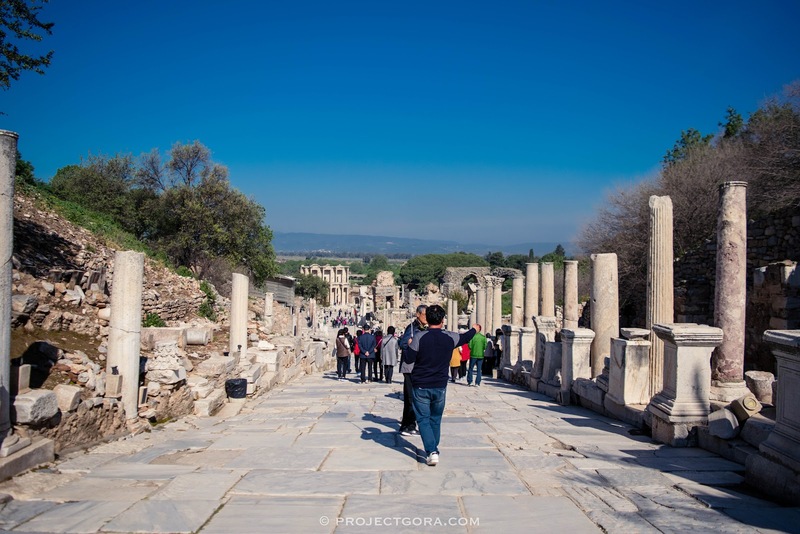 Curetes Street is one of the three main streets of Ephesus and is home to many historical monuments. 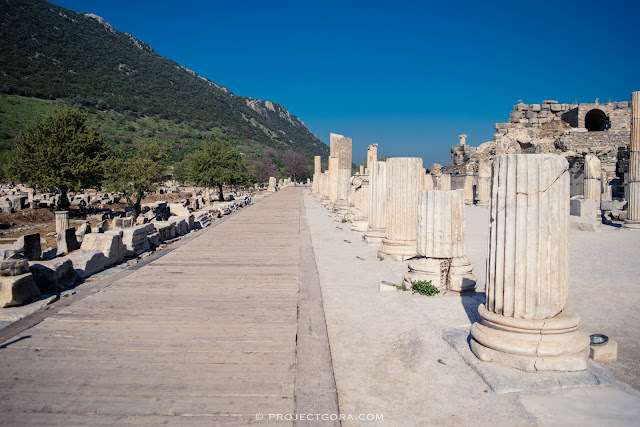 This ancient street runs between Hercules Gate and the Library of Celsus, which used to be a sacred route that lead to the Temple of Artemis. I immediately noticed that this street was very significant since the ancient times because there were a lot of beautiful monuments on the slope. 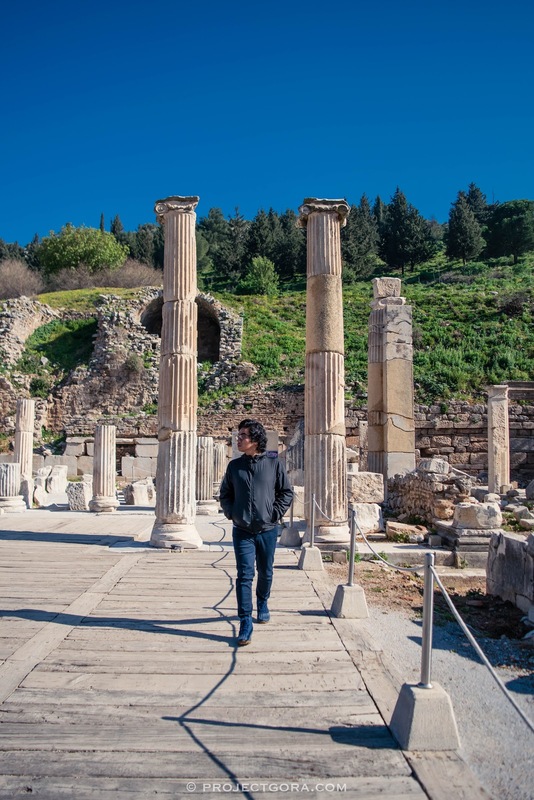 Located along the famous Curetes Street, the Temple of Hadrian is regarded as one of the most famous monuments in Ephesus. There were magnificent statues and friezes inside the temple including a relief of Medusa. but they have all been replaced with replicas of the originals. 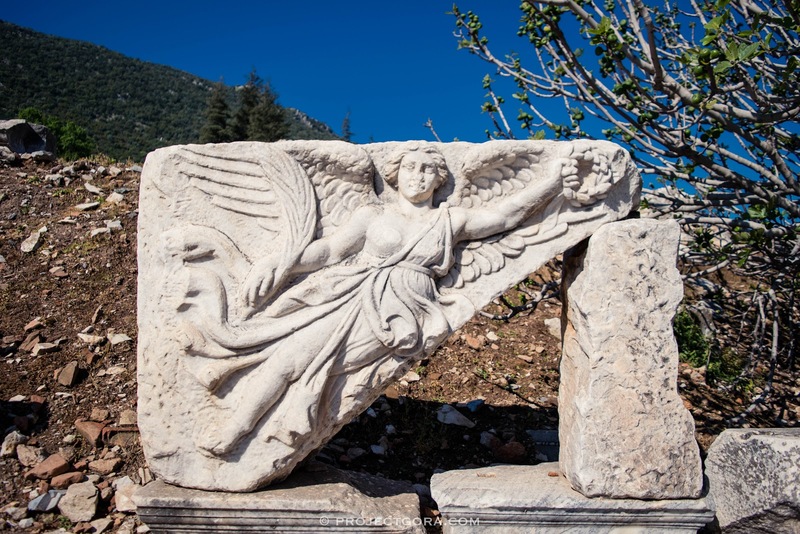 You will find the original statues in the Ephesus Museum. As you come to the end of Curetes Street, the most photographed and the grandest monument of Ephesus slowly comes into view. 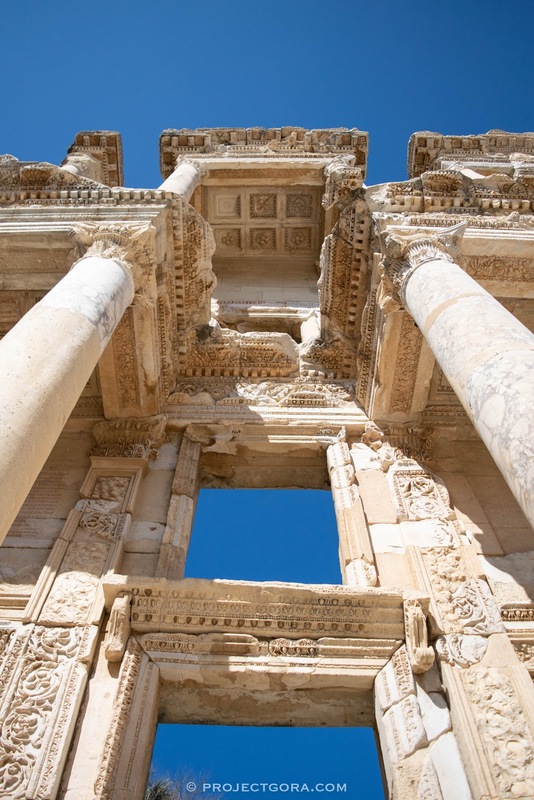 This is the famous Library of Celsus dating from the early 2nd century AD. It is impossible to describe the feeling standing at the foot of the library while looking up at some of the ancient statues and carvings that have survived after many centuries. 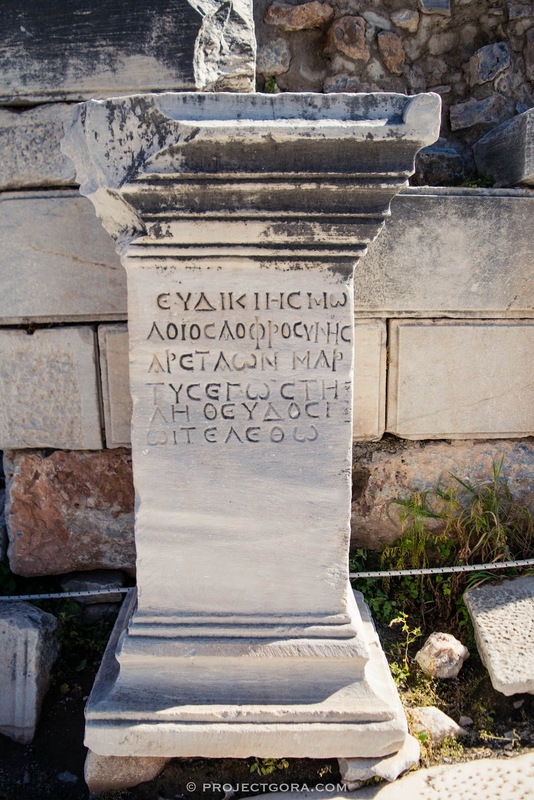 This monument was the reason why I wanted to visit Ephesus in the first place. I cried when I finally saw this magnifient structure. I felt a kind of gratitude I have never experienced before. Look at the details. 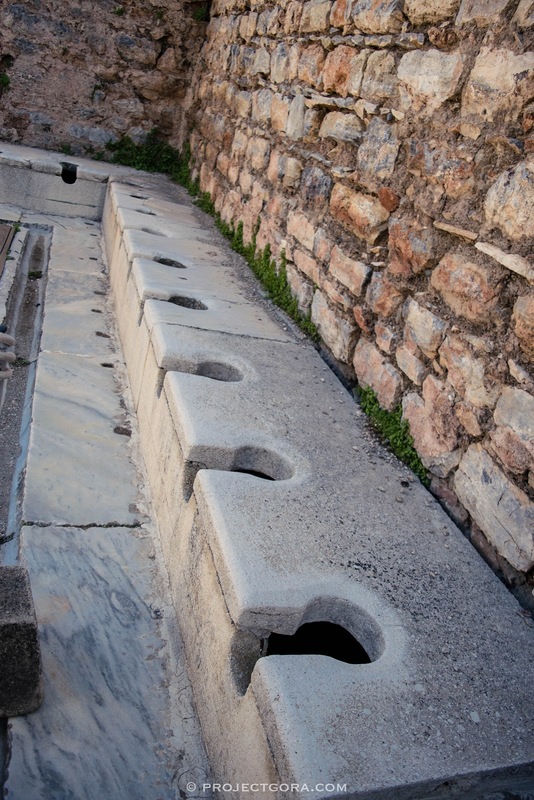 How can they possible design something like this in the ancient times? 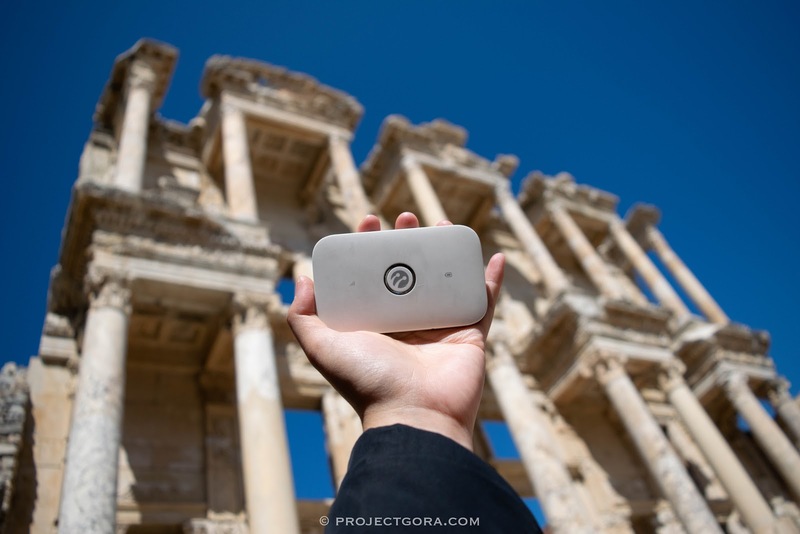 getting around Turkey was super easy thanks to Alldaywifi :) Read my review here. Get 10% off when you use my code "PROJECTGORA10"
how did this thing survived after many centuries? 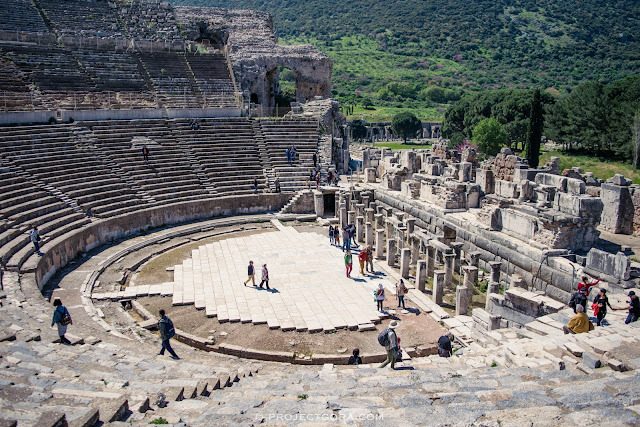 The Great Theatre of Ephesus, which was capable of holding up to 25,000 spectators, was one of the best preserved Greek-Roman ancient theatres in the world. It was used initially for entertainment like musical and drama, but was also used for gladiator fights during later Roman times. This massive theatre was nothing like I have ever seen before. Okay, I have not seen any ancient theatres before my trip to Turkey, but seriously, this theatre was really amazing. 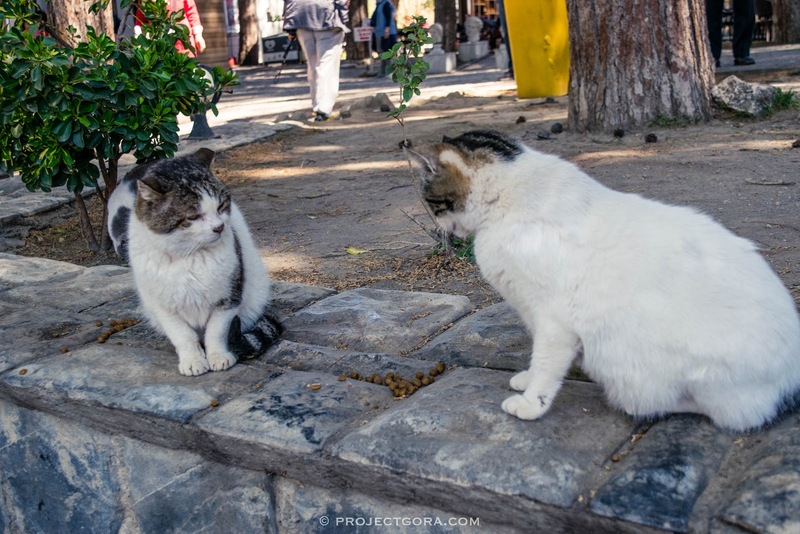 These cats just finished eating but they seemed annoyed with each other. Lol! One of the most popular destinations near the ruins is Meryem Ana Evi (House of the Virgin Mary). 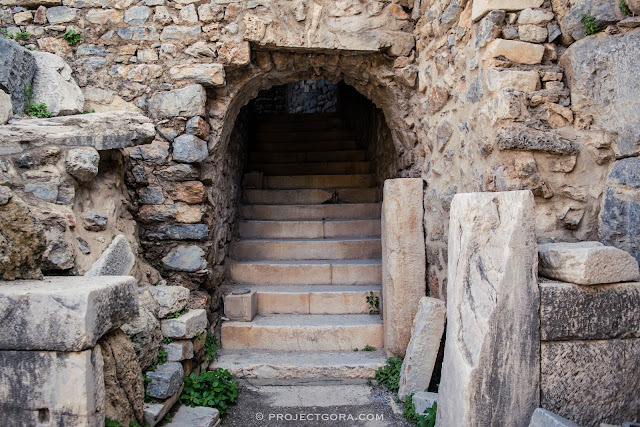 It is believed that the Virgin Mary was taken here by St. John the Apostle shortly after the Crucifixion and to survive the Roman persecutions. It was reduced to rubble by many earthquakes and it was only until 1951 when it was discovered again by a German nun when she the place in her visions. 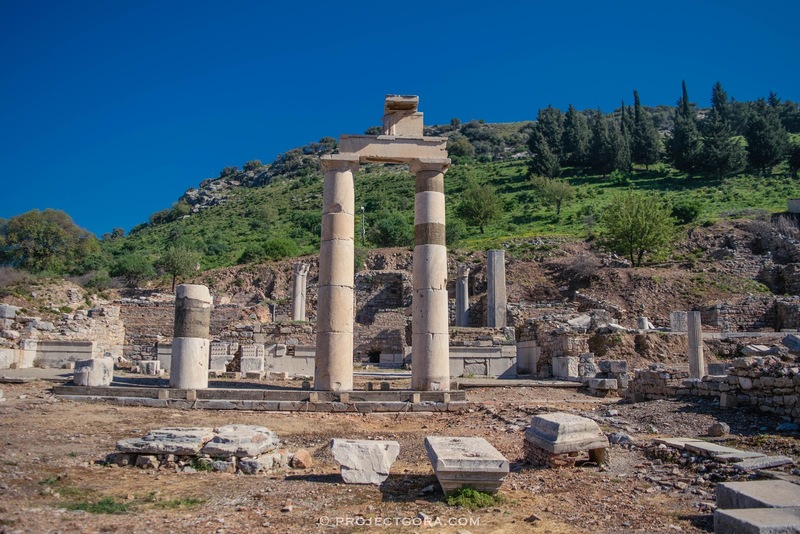 The Temple of Artemis was a Greek temple dedicated to the Greek goddess Artemis and was one of the Seven Wonders of the Ancient World. During the downfall of the Cult of Artemis with the rise of Christianity, the temple was neglected and looted. 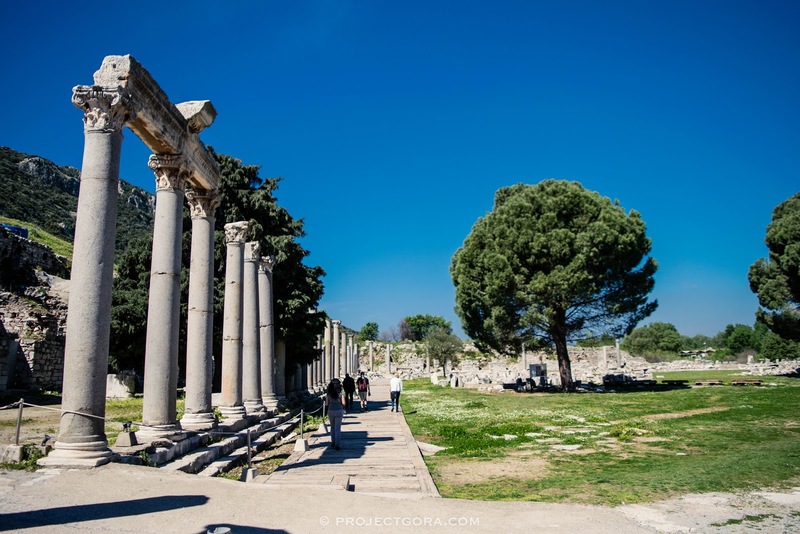 Unfortunately, a single column and a small pile of rubble were all that remain of the Temple of Artemis. 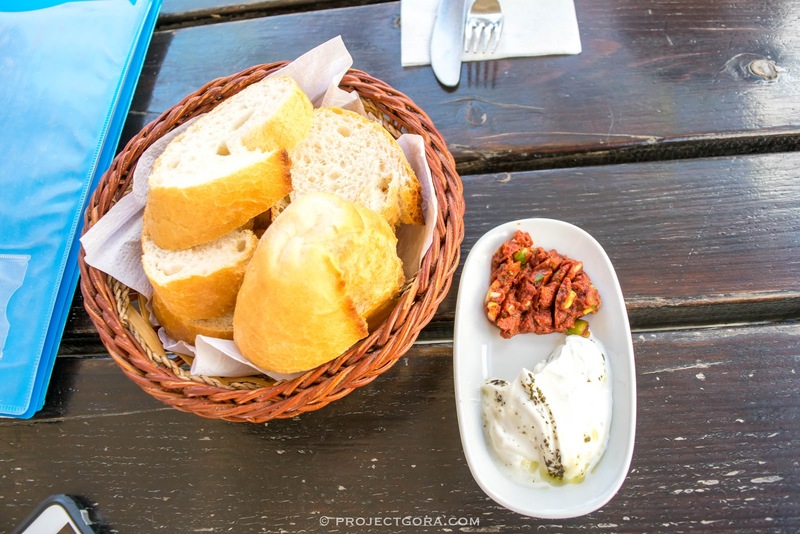 For more Turkey Travel Guides, check out this post. How about you? Is Ephesus part of your bucket list? Let's chat down below! Which one sounds better? Jumping all day on a massive inflatable water park, or splashing around in the ocean? What if you don’t have to choose? In other words, you can enjoy these activities (and more!) at the same time on the same location. The great news is, enormous inflatable water parks by the famed Aqua Play Parks will soon be opened in popular beach destinations in the Philippines. If you are like me, who cannot wait to experience this long-awaited water attraction, then read on to see what awaits us! Now celebrating its 30th year in the business, Aqua Play Parks, founded by the Canadian inflatable water park designer, Peter Appleton, is a unique and innovative water fun company. Their vision is to see the world's largest floating water parks installed on locations across the globe. Aqua Play Parks features a one-of-a-kind temporary inflatable island designed on the same scale as attractions in major theme parks for about a fraction of the cost. Cheaper to build without sacrificing safety and quality. This means profit for the resort owners and enjoyment for tourists. 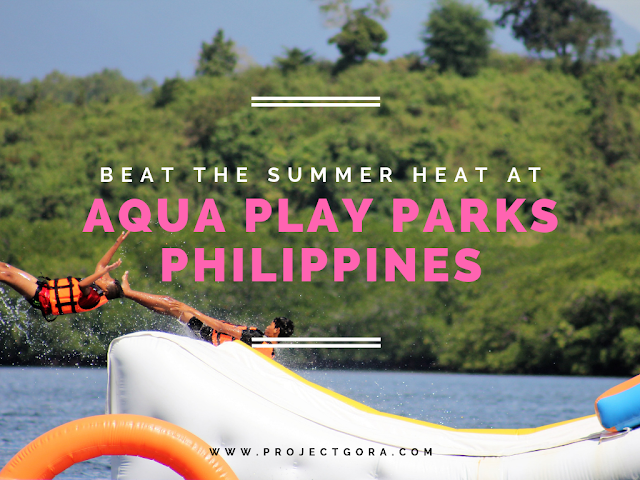 In 2010, Aqua Play Parks finally made its way to Asia-Pacific when it installed its very first inflatable water park at the famous Club Balai Isabel in Talisay, Batangas. It generated a lot of interests from Filipinos because of its 30-ft. high 3-in-1 Monster Slide. The second water park was installed in Kamia Bay Resort in the world-renowned island destination, Puerto Prinsesa in Palawan. Here you will find the Highest Floating Water Slide in the World as awarded by Guinness World Records in 2016. The third inflatable water park installation of Aqua Play Parks was in Sabando Ocampo Beach Resort located at the scenic beach town of Oas in Albay. The World’s Highest Floating Water Slide, High Tower Trampoline, 3-in-1 Water Park Slide, and many more! I can't wait to finally experience this! Another new installation will be the much-awaited Aqua Play Parks at the Seashore Beach Club in San Juan, Batangas. It features 2 giant slides, high trampoline and other thrilling obstacles designed to make our summer getaway one-of-a-kind. I seriously cannot wait to visit this inflatable water park in the holy week! I will probably skip this human launcher haha! get ready to flex those muscles! Interested to get Aqua Play Parks for your resort? Aqua Play Parks boasts quality and safe obstacles from trampoline, giant slides, human launcher, monkey bars to “stand-alone” pieces like volleyball court and floaters. These water proof obstacle pieces can be rearranged and re-connected to form a race track while floating above the water. These pieces, except the larger slides, can be interchangeable as well. You can easily mix and match these pieces based on your budget and preference. This is something that you can benefit from Aqua Play Parks – flexibility! Want to get more infomation? Contact Aqua Play Parks here. Make sure to follow Aqua Play Parks’ social media accounts and visit their official website so you won’t miss exciting announcements! What do you think of Aqua Play Parks? Would you like to try it out? Or have you been here before? How was your experience? Let’s chat down below! The Philippines comprises of more than 7,500 picturesque and amazing islands, out of which Bohol is considered to be the one of the most intriguing. This captivating destination holds an array of attractions, not to be experienced anywhere else in this archipelago nation. Bohol’s main attraction is that it offers the most well-rounded experience between beach relaxation and exciting adventures. 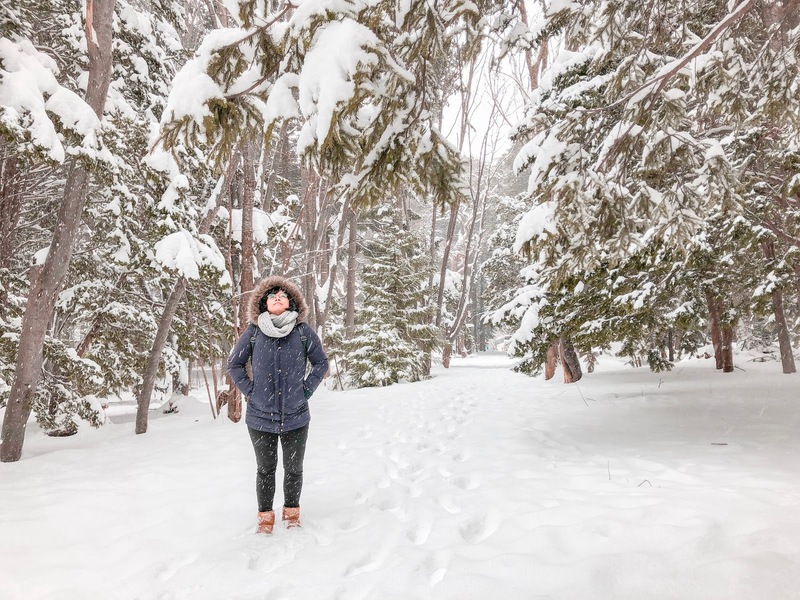 If this is your first visit there, my three-day travel guide will give you the most up to date information on how to travel better and on a budget. They have recently opened up a new international airport in Panglao, replacing the old domestic one in Tagbilaran. There are flights coming in from dozens of different places, including Manila, Cebu, Davao and many more. With so many available flights, it is very easy to find a cheap one, with regular prices ranging between 1000 and 3000 pesos. Alternatively, you could always catch a ferry instead. 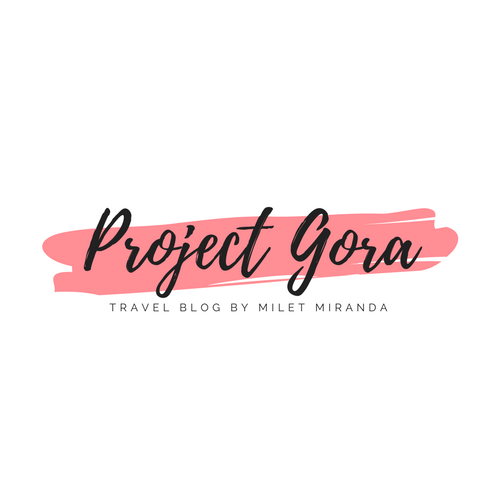 There are ferries from various different islands in both Visayas and Mindanao, but of course the most obvious choice is getting there via Cebu. The Oceanjet ferry is the most recommended, and their economy class seats cost 300 pesos per person. Being one of the most popular tourist spots in the country, Bohol has literally hundreds of different places to choose from. 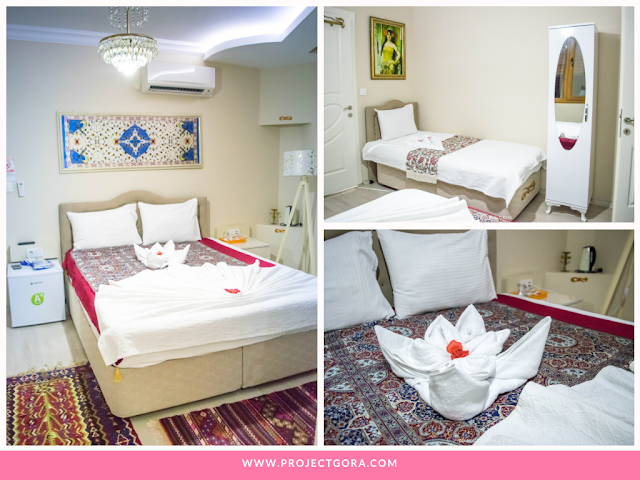 These range from budget friendly to high end luxury, and you can easily find your preferred mode of accommodation with a simple Google search. The great thing about Bohol is that it is suitable to all kinds of travelers – families, couples or even young solo backpackers. So, it doesn’t matter what kind of tourist you are, there’ll always be a decent place to stay at. Peak season is between January and May, so booking in advance is advised. This will allow you to choose where you sleep at, and also get better deals. Try your best to find a decent room in Panglao Island, it is much better than staying in Tagbilaran or somewhere else on the mainland. Places such as the Chill Out Guesthouse are my favorite, as you get very good deals but still enjoy a nice, quiet and clean hotel. Bohol is unique in the fact that it offers some world class attractions both in-water and outside. 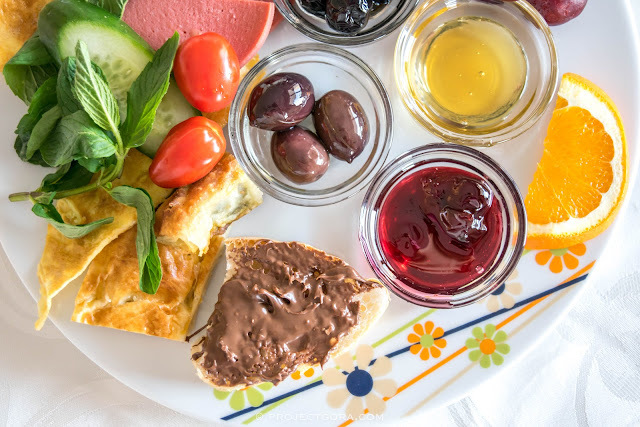 The best way to get the most out of your stay there is to combine the countryside tour with the island-hopping excursion, and then spend the last day relaxing on the beach. This will allow you to fully discover the many faces of this island which makes it so special. Tours in Bohol are very easy to acquire, you will see touts selling them wherever you go. However, these tours are often poorly organized, consist of extremely large groups (20+ people) and can prove quite chaotic overall. For affordable and professional service, check out YGD travel’s Bohol tours and packages. *If you are the explorer type who likes DIY trips, it is certainly possible to do this whole day on your own, and it will be cheaper too! You can rent a motorbike pretty much anywhere in Panglao, or head to Tagbilaran and rent a car or a van for the whole day. **It is also possible to go down closer to the hills and take the ATV tour instead. It’ll just mean the rest of your itinerary will be a bit more cramped. If you are doing an organized day tour, please note this option is only available if you booked a private tour. Group tours only include a stop at the view deck. Use your last day in Bohol to relax and recharge your batteries. Bohol has some of the nicest beaches you’ll ever see, and you can also rent a motorbike and spend a full day going between different beaches. 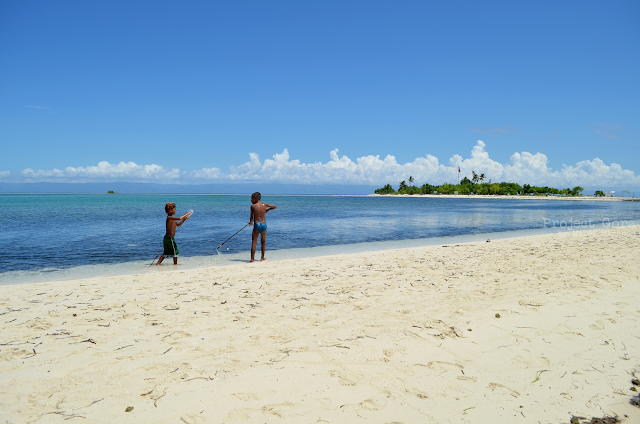 The main beach is of course Alona, but Dumaluan is just as nice. If you can endure the long drive to Anda, you can find fantastic beaches over there which are much quieter. Another option is to go diving. Bohol is famous for offering some of the best and most diverse diving spots in the Philippines. The amount of different fish and corals you can see there is just amazing. Typically, people who have one day for diving opt to go to Pamilican island, as it is considered the number one diving spot in this region. How about you? Have you been to Bohol? What can you add in this itinerary? Let's chat down below! This is a very personal story. Last year, I had a breakdown. I cried in front of my boss when I told her I wanted to quit my job. I knew it was very unprofessional to let your emotions take over you when you are at the workplace, but at that moment, I just could not take it anymore. After our one-on-one meeting, I hurriedly went to the restroom with tears streaming down my face. Debilitating self-doubt took over me. I was stressed and burnt out that I wanted to quit. And I almost did. My recent trip to Japan was a much needed break for my mental health. I was burnt out but that did not happen over night. I was burnt out since December of 2017. You see 2017 was not a good year for me and my family. My father had a stroke and my mother had a cancer scare (thank God it was Diverticulitis). But the most devastating thing that happened that year was when I had to put down my best friend, my 12-year old dog Gerald, because of kidney failure. The moment he stopped breathing, I felt like a part of my heart was already dead. I won’t lie. Even after almost 2 years, I still think that I will never get over my dog’s death. "I felt like a part of my heart was already dead." To escape the reality at home, I considered work as my safe haven. At work, nothing can ever hurt me because I could control my environment. I could afford to travel and occasionally buy things I like. I worked hard and did my best. I said yes to every opportunity. However, work took over my life in a way that left me extremely exhausted and unhappy. I was unhappy at home and at work, the two places where I should be thriving and living. That’s when the thought of quitting my job and being a freelancer came up. I told my plan to quit my job to my friends. Some said “If that’s what will make you happy, then you should do it.” But one said, “Bakit ang dami dami mo na bang pera para umalis ng trabaho? Yung savings mo pwedeng maubos. Kapag freelancer ka na, wale kang security.” She was right. I am the breadwinner of the family, an only child, and more than anything else at that moment, I needed financial stability. I have savings, sure, but what about future medical needs and hospitalisations for me and my family? My father’s medical bills when he suffered a stroke almost exhaust my savings in one fell swoop. The truth is, I wasn’t prepared for a life of a freelancer. Call me coward for not rocking the boat but when you are at a life crossroad, you will not only think about yourself, but also about your family. Driven by sheer necessity, I decided to stay. But all those months spent on worries thinking about how am I going to make ends meet when I finally leave my job took a heavy toll on my health. The negative thoughts when I was at work and the constant worry about my parents (there were times that I was too scared to check my phone because I was afraid that another emergency happened at home) manifested physically. My life has gone downhill. Like a light at the end of a long tunnel, an opportunity to travel to Japan presented itself. I was allowed by my employer to take a month off work to heal. That much needed break from all my worries helped me managed to pull through somehow. I realised a lot of things while I was away. 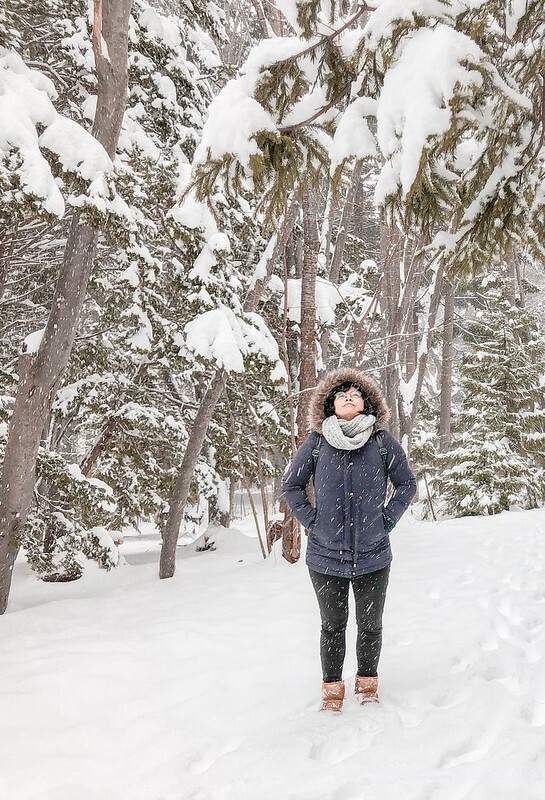 And as cliche as it sounds, solo travel has healed me. Away from the hustle and bustle of life back home, I found peace. Not only did this life crossroad reveal to me what I was truly passionate about, but it helped me realise that I have so MANY things to be grateful for. It was one of the most pivotal learning experiences of my life. Ultima Vitamins lets you rise to #BeTheUltimateU by providing you the complete set of essential vitamins and minerals powered off with Korean Panax Ginseng for that much needed energy and stamina and to give the immune system a boost. I came back to the Philippines with a hopeful heart after almost a month of traveling. At the beginning of the year, I started a health and wellness plan to help me jumpstart a healthy change in my lifestyle. The body and mind work together so I had to make conscious efforts to improve on both. I’m currently undergoing a few wellness treatments at a wellness clinic in Quezon City. I brisk walk 30 minutes a day to compensate for the months I have been sedentary (I can’t run just yet because of my neck issues). Also, I started to take Ultima Vitamins to give me enough energy and boost my immune system. "I started seeing it as one of the ways that could help me pursue my passion with abundance and joy." In the office, instead of seeing my work as a way to pay the bills, I started seeing it as one of the ways that could help me pursue my passion with abundance and joy. And you know what? I got recently promoted! I could never thank my employer enough for all the opportunities given to me. At home, I spend time with my family and pets and I let go of that constant state of anxiety (I used to worry about our next trips to the hospital). It’s crazy how everything changes with a positive mindset. To anyone who’s at a life crossroad, embrace it and think of it as a doorway into an entirely new way of life. Take care of your mind and body because how in the hell are you going to chase after your dreams and fulfil your crazy goals in life if you are not ready? Be grateful for every single thing that come your way. After almost a month of solo traveling in Japan, I have come home to the Philippines with memories filled with incredible experiences and a lot of firsts. However, my body has taken a battering and my overall health has deteriorated. 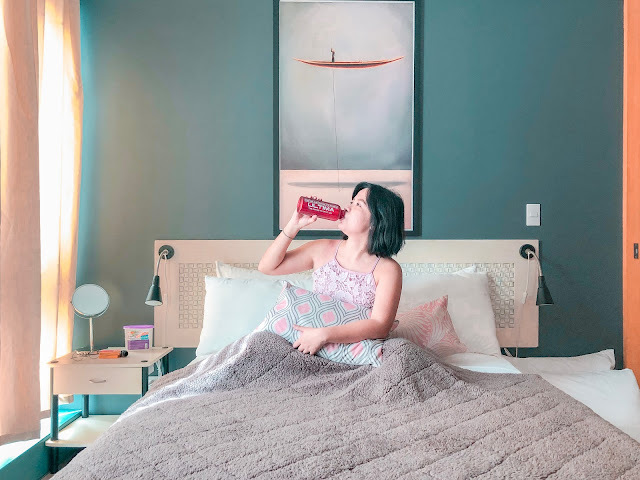 I am not going to lie to the fact that I neglect my body when I travel because at end of the day all I want to do is jump right into bed and rest. 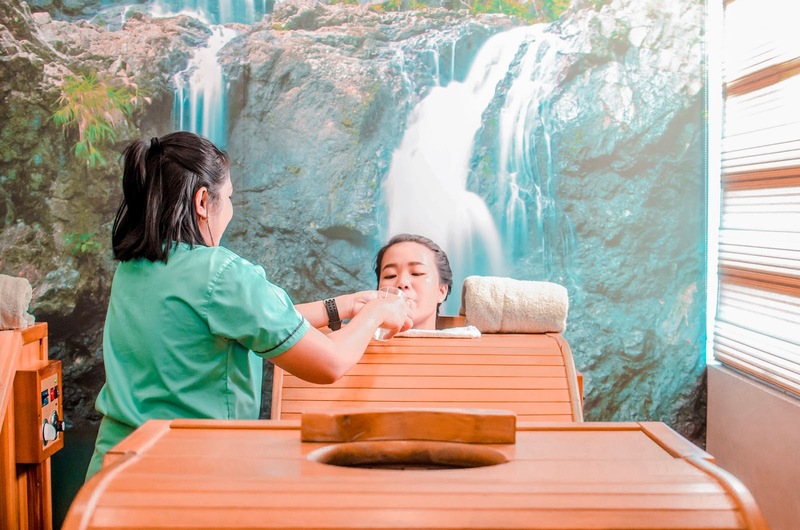 I want to spring back to the usual me so at the beginning of the year, I had an idea of doing a wellness and detox program at the Life Extension Health and Wellness Center in Quezon City. Welcome to the Life Extension Health and Wellness Center! Beginning with a proper consultation with Doctor Gary Sy, I was asked about my health concerns. I did not actually have a particular health issue but I told him that I have eaten a lot of processed, high-fat and sugary foods the past few months. I was also living a sedentary lifestyle (involving little or no physical activity) prior to my solo travel in Japan, so I thought that may be a cause for concern. Dr. Gary Sy’s relaxed but caring character put me at ease right away. He paid attention to what my needs and preferences are instead of simply promoting his clinic’s available services. He also ensured that I am comfortable with his treatment plan and encouraged me to say goodbye to my sedentary lifestyle. Haha! I know it was just matter of discipline to get healthy, and by making some conscious decisions on what I eat and how often I exercise could improve my overall wellbeing. So now, follow me on this wellness journey! The first treatment I experienced at the Life Extension Health and Wellness Center was the Bio-clarity Treatment. According to my therapist, this combination of dry and wet spa cleanses the body of toxic waste, chemicals, excess fluids, and fats. It also improves blood circulation and strengthens cardiovascular system. I was enclosed in a wooden Infrared sauna and steam for about 30 minutes and the whole process was comfortable. The high temperature in the sauna caused me to sweat profusely which only happen to me during intense exercise. After the therapy, I felt like I eliminated the toxic chemicals in my body through sweat. Also, my skin felt more supple and smooth after just one session! There are variety of ways to detox but Activated Charcoal Bath is surely one of my absolute favourites! Activated charcoal is long been known for it's detoxifying properties, which Absorb toxic chemicals from the body, including heavy metals. It also treats variety of conditions concerning the skin, liver and kidney. 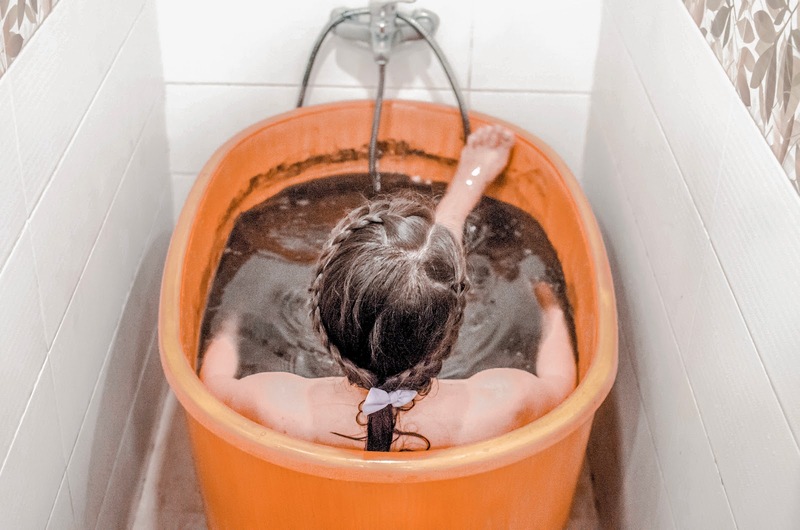 According to my therapists, Activated Charcoal Bath also helps smokers, alcohol drinkers, people who are experience drug withdrawal symptoms, as well as people who are taking maintenance medication. I was not aware of activated charcoal’s other health benefits aside from what it does on the skin (I use activated charcoal as part of my skincare regimen), so experiencing a relaxing bath at the Life Extension Health and Wellness Center was definitely one of the best. Ultimately, the Activated Charcoal Bath with its dramatic (or should I say hypnotizing?) black hue was a great detox therapy. Kutis Koreana with Activated Charcoal Bath haha! On my second visit, I was able to try Lymphatic Drainage Massage with Steam. This 90-minute therapy uses long, gentle and rhythmical massage to stimulate lymph nodes to flush out toxic chemicals and drain excess fluids in the body. For a quick anatomy refresher, the lymphatic system transport lymph (White blood cells that attack bacteria in the blood as well as proteins and fats) throughout the body. 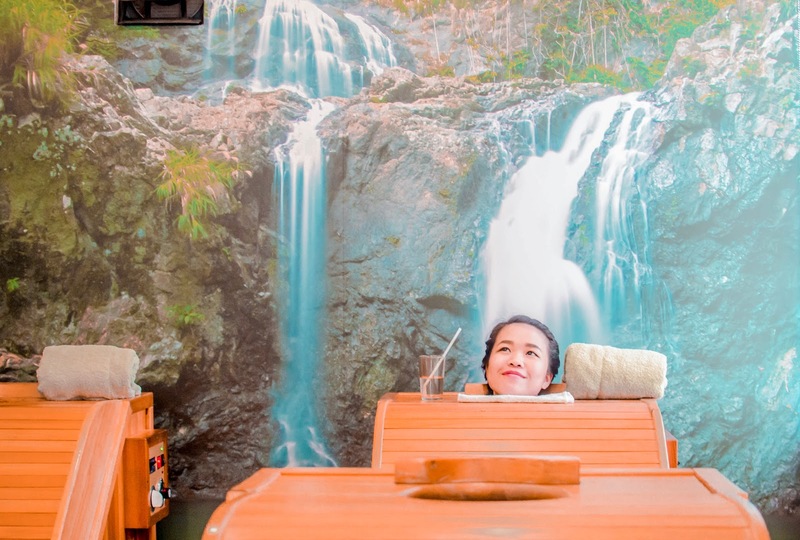 According to Doctor Gary Sy, Lymphatic Drainage Massage is recommended for people with sedentary lifestyle like me (I really have to change I know!). If you are sedentary, the lymphatic system finds it difficult to do its job, and can lead to a buildup of lymph. After the 90-minute Lymphatic Drainage Massage, I felt so refreshed. I slept like a baby and woke up feeling like I slept the entire day! It was really that good! If you are used to the usual massage like the ones in Nuat Thai, you might not find this satisifying, but trust me, it was really good! My next treatment was Diathermy Therapy. This 15-minute procedure produces high electrical current that pushes thru connective tissues in the body. The heat produced by this procedure increases blood flow and makes connective tissue more flexible. This safe and effective therapy helps relieve Cervical Spondylosis, Frozen Shoulder, Muscle Spasm, all types of Arthritis (Osteoarthris, Gout Arthritis, Rheumatoid Arthritis, and Rheumatism), stiffed neck, back pains, and other Musculosketal pains. I have issues with my neck so I immediately noticed Diathermy Therapy’s effect so I will surely come back for this! Thermal Mineral Phototherapy promotes natural healing by releasing far-infrared (below visible light) emissions which aid Microcirculation, accelerate natural recovery time, and reduce pain and inflammation. According to Doctor Gary Sy, Microcirculation is stimulated to deliver high quantities of oxygen and nutrients to the cells, while eliminating toxins and cellular waste in the body. This 15 to 30-minute therapy is good for people with insomnia, anxiety and depression, Arthritis, vascular and lymphatic problems, and other medical ailments. One thing I don’t like about the Life Extension Health and Wellness Center were the customer service of receptionists. On my first session, the receptionists were not smiling at all. It was like entering the emergency room and being welcomed by apathetic nurses. I was expecting to be greeted with smiles because I was visiting a wellness clinic. You’re supposed to feel like you’re entering a wellness haven right? I thought they were just tired that’s why they acted like that so I let it pass. However, on my second session the same thing happened! I am not discounting the amazing effects of the treatments and the friendly therapists inside the clinic but clearly, the receptionists need to work on their customer service skills. 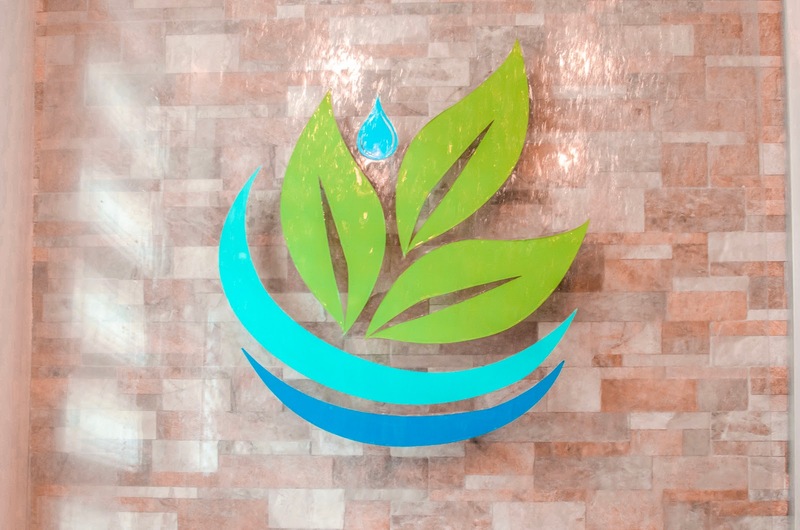 I know it’s too early for me to say this but my wellness and detox treament at the Life Extension Health and Wellness Center have helped me feel refreshed and recovered from my trip as well as my daily grind. The therapists shared a lot of valuable insights about wellness which made me more conscious about my health. Now I can’t wait to go back to the clinic for my follow up sessions! For the rest of February, I will be focusing on Bio-clarity Treatment, Lymphatic Drainage Massage with Steam, and Diathermy Therapy. I might try their signature Swedish Massage too if I have time! I know everyone reacts differently to treatment and I hope what has worked well for me would work for you too. How about you? 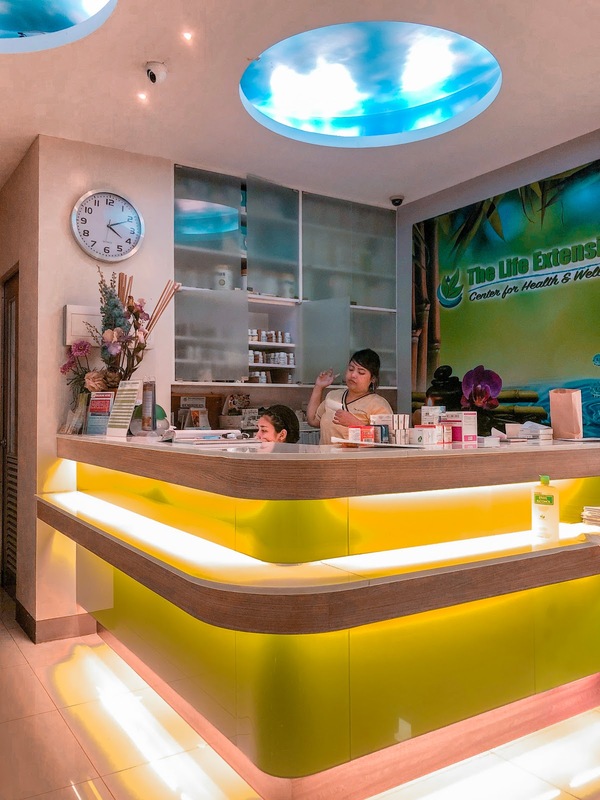 Have you tried any of the Life Extension Health and Wellness Center treatments? Have you tried any similiar theraoy from other wellness clinics? How was your experience? Let's chat down below!